There are many decisions to be made when establishing a new business, however the most important is determining the structure of the business. Business ownership varies depending on the type of business, number of owners, and financial situation. Because of these considerations and others, it is imperative that business owners choose the structure that best meets their needs. When considering the advantages and disadvantages of various business structures, it is crucial that new business owners seek expert counsel. Enlisting the help of a West Palm Beach business attorney will not only help entrepreneurs choose the right business entity, but also serve as a valuable resource throughout the business venture. To help choose the best business entity, here is an overview of the most common options. A sole proprietorship is a one-person business that is not registered with the state. It is the most straightforward way to start a business, because owners can simply start selling their product or service. There is no need to register as a DBA (Doing Business As) and no Tax Identification Number is required. Income and expenses are reported on a single tax return. However, there are some disadvantages to forming a sole proprietorship. In this type of business, there is a federal self-employment (SE) tax of 15.3% on ordinary income. Ordinary income refers to sales of products or services, commission, or short-term income generated by real estate. SE tax doesn’t apply to any passive income, which consists of rent, dividends, interest, or capital gains. When one evaluates the possible taxes of a sole proprietorship, it’s crucial to distinguish between passive and ordinary income. If the business will involve risk, like stock trading or construction, one would be advised to choose an entity that provides liability protection. One option, in this case, would be to establish the business as an LLC, but file taxes as a sole proprietorship. This allows business owners the asset protection inherent to an LLC but avoid the complex tax reporting of an S- or C-corporation. If one has a partner or investor in the business, each party will need to file a partnership tax return, and the business owner will be liable for their partner’s actions. Legally, any relationships with others that the owner does business with must be documented. It is highly recommended to start a business as a sole proprietorship unless there is a partnership, tax liability, or risk. If business owners begin making significant revenue or believe there will be a liability exposure, it is advised to consider another option. Owners of an LLC are responsible for paying taxes on their share of LLC income on a personal tax return. Investors will usually refuse to fund an LLC because they would be taxed via partnership, meaning investors will be taxed on the entity’s income even in years when no cash is distributed to them. Florida has a filing fee of $125 and annual report fee of $138.75. For those starting an online retail business, it is most often recommended to establish ownership as a sole proprietor. If one establishes an LLC, an operating agreement must be created, online registration is required with the secretary of state’s department, a fee is assessed, and an introductory form must be filed. If the online business will owe sales tax for sales to in-state customers, the business structure does not make any difference as to how taxes are paid to the state. Neither LLCs nor sole proprietorships are required to hold board meetings, but both are required to report quarterly or monthly sales, depending on the secretary of state’s requirements. LLCs are required by Florida to file an annual report to inform the state that the business is still active. 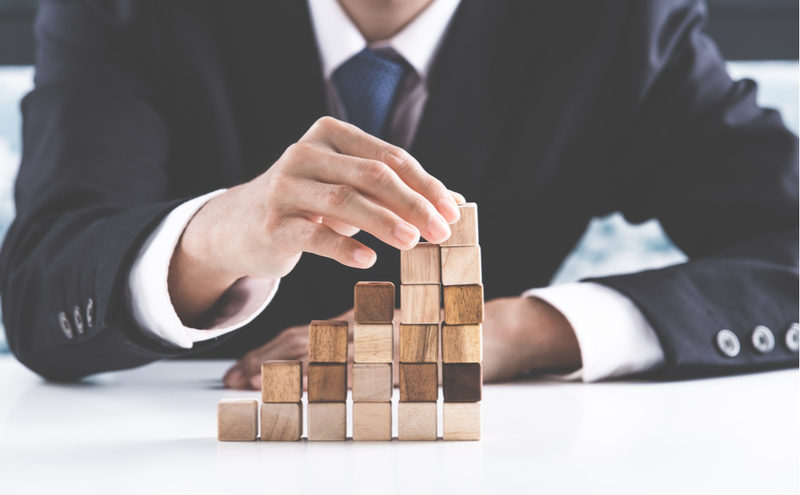 When it comes to growth and expansion, choosing between an LLC or sole proprietorship solely depends on the needs and intentions of the business. If the business expects to expand its scope in the future, hire employees, and add payroll, it is recommended to establish an LLC. A sole proprietorship has no room to grow. Always consult an attorney to determine which business structure is the best fit. Almost all Fortune 500 companies are C-corps. A C-corporation is structured in a way that business owners or shareholders are taxed separately from the business. This type of corporation is also subject to corporate income taxation. The taxing of profits comes at personal and corporate levels, creating a double taxation. It is beneficial for large companies to be set up in this way as it allows them raise capital and abide by securities laws in order to go public. For small to medium-sized companies, it is completely unnecessary to form a C-corporation. Small business owners should skip the trouble of double taxation, and instead use an LLC or S-Corporation. Most small business owners consider transitioning at some point in their business venture to an S-Corporation for asset protection and potential tax savings. Unlike a sole proprietorship, A business owner’s share of an S-Corp’s net income is not subject to SE tax (FICA – Medicare and Social Security taxes). In addition, shareholders and officers are not personally liable for corporate debts or liabilities. Many business owners form an S-Corporation in the effort of building business credit. Upon creating an S-Corporation, owners will obtain a Federal Tax ID number, and will eventually be able to establish credit and borrow funds in the company’s name. When established properly, this can be a huge asset to small business owners. Another benefit is that an S-Corp isn’t subject to corporate tax. This helps shareholders avoid double taxation on their net income. After expenses are deducted from business income, the net income goes directly to the shareholders of an S-Corp and on their personal 1040 tax return. Unlike LLCs and sole proprietorships, S-Corporations allow business owners to only pay a self-employment tax on payroll, rather than the income from business profit. When considering the operational costs of maintaining an S-Corp, it is advisable to use this structure once the business is generating $30,000 of net income. If the goal is to grow a small business, establishing as an S-Corp is the most logical option when considering legal and tax strategy. If the business owner intends to create ordinary net income, it’s only a matter of time before one takes advantage of an S-Corp business structure. After learning about each business structure and considering the important factors that can impact the decision, aspiring business owners may still need assistance to determine which entity is best suited for their business. Seeking counsel from one of our experienced Palm Beach business attorneys allows our clients to set a solid foundation for their businesses. If you have any questions regarding your business or choosing the right ownership structure, contact Kelly & Fulton, P.L. for a no-obligation consultation!